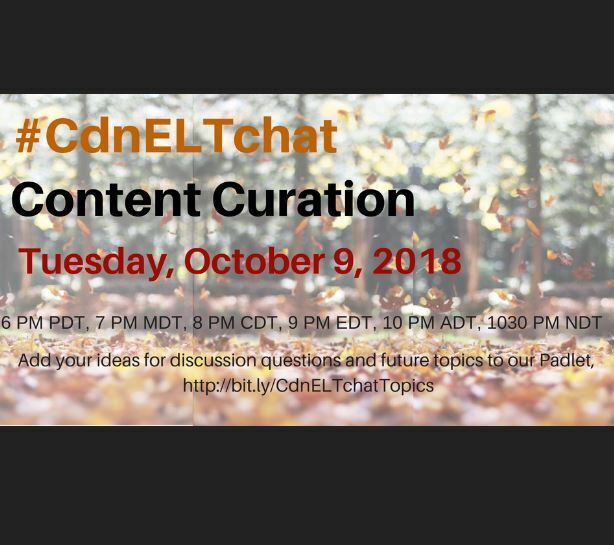 If you’re a Twitter user, read on to learn all about how you can join the next #CdnELTchat which takes place tomorrow, November 6th. 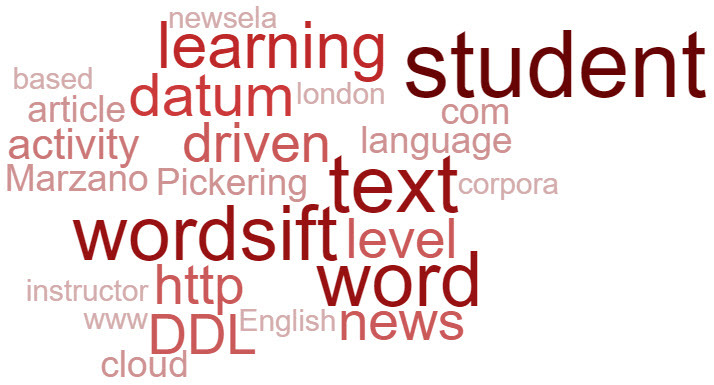 Below is a recap of last month’s chat from the #CdnELTchat moderators. In our personal lives, we use YouTube playlists, Facebook feeds, pins on Pinterest, Instagram feeds, saved tweets on Twitter etc. to save and share videos, news, images and information. 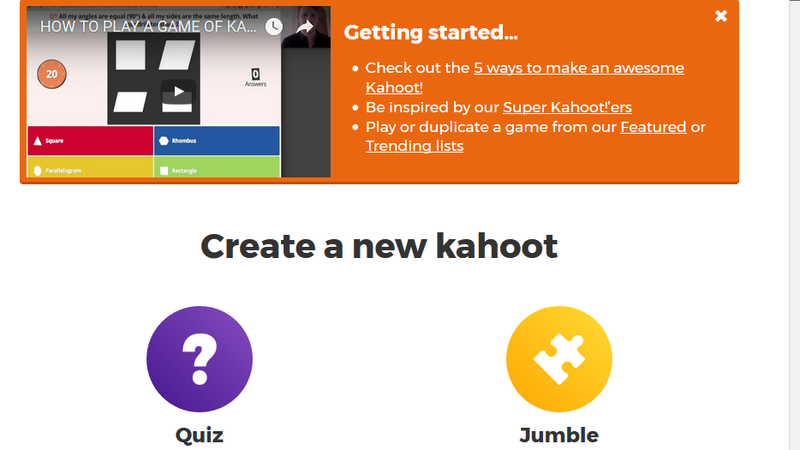 With the increase of accessible information and resources online, what can educators and students do to curate content effectively? 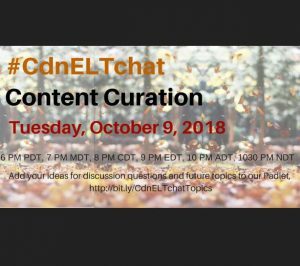 Bonnie Jean Nicholas (@EALStories) and Jennifer Chow (@jennifermchow) moderated a #CdnELTchat on “Content Curation” to explore this topic. Teaching verbs can be accomplished through a combination of miming, games, worksheets, video clips, discussion, lecture, translation, and perhaps a host of other strategies. Reinforcing the meaning of many verbs by providing a video clip can help with retention. Flashcards can also assist with vocabulary acquisition. Quizlet’s flashcards deliver still images or animated clips online. 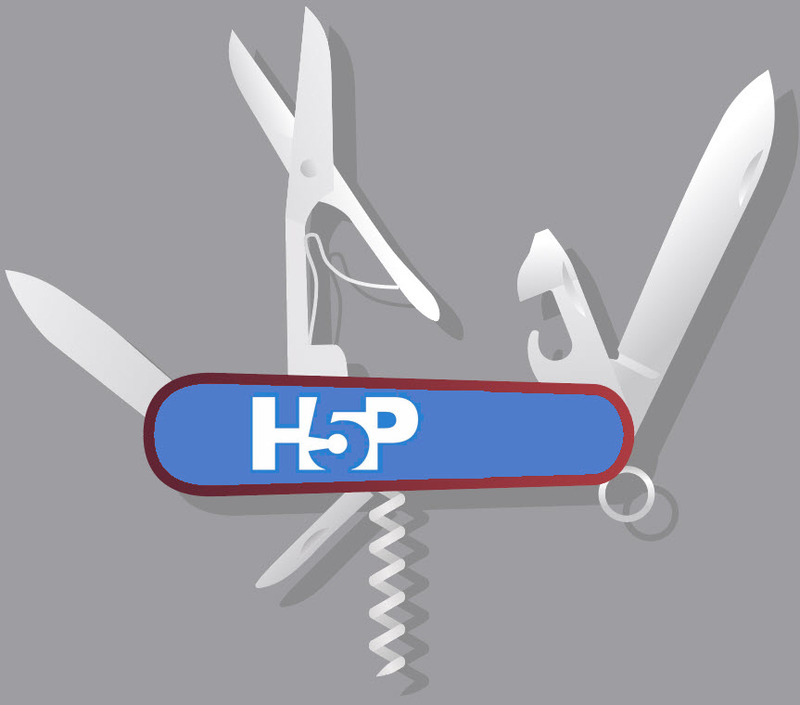 Animated clips can accelerate acquisition through motion in context. Quizlet’s ability to include animated GIFs makes it a useful tool for language students learning base verbs. I recently came across a web resource that reminded me of using Data-driven learning (DDL) with students. 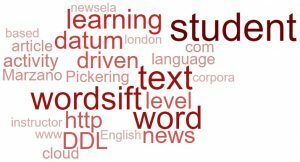 I have not tried using DDL for a few years but I think that WordSift will allow instructors to use basic DDL techniques with their students. Try something different this year, adopt an app! As language teachers, many of us agree that technology is useful for assisting our instruction. 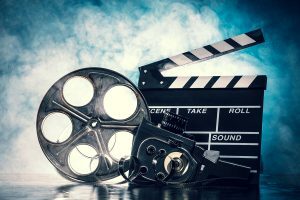 Videos, animations, virtual tours, audio clips, interactive games, self-correcting quizzes and digital online resources are some of the possibilities offered through technology. Until recently, technology based learning events have been delivered on institutional workstations, laptops or tablets. The personal device revolution is migrating learning events/objects to mobile device applications or apps.